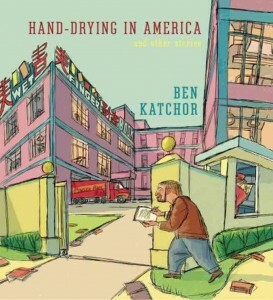 Because of its size, Ben Katchor’s Hand-Drying in America: And Other Stories is hard to overlook when walking by the bookcase. But what got me to pick it up, is Katchor’s eye-catching scratched-drawing style: his comics look like he sketches them directly on paper with a pen, without making a set-up in pencil first. However, Katchor brilliantly uses this seemingly spontaneous way of drawing to make well-thought-out drawings rich with detail. For me, this symbolises the core of his work, which is Katchor’s penchant for small but quirky details of modern-day urban life. Katchor’s stories in Hand-Drying… tend to favour topics related to architecture and urban design and the way people respond to them, which they often do in an atypical fashion. Most of the time his observations are very funny and dry. The story ‘Open House Season’ for instance, opens with the statement that our knowledge of the domestic interiors of a city is limited to the homes of a small circle of friends, acquaintances and relations. Few of us have the opportunity of a gasman or exterminator who visit a lot of houses. However, Open House Aficionados have a solution to that problem: they use the real estate section of the newspaper to pick out houses to visit. Not to buy, but to get a feel of the apartment and later discuss it with fellow Open House Aficionados. The story from which the book takes its title deals with the adventurous undertakings of a businessman who wants to dry his hands after a visit to the toilet in a restaurant. He can choose between paper towels or an electric hand dryer, but of course the dispenser is empty and the dryer is out of order. We’ve al been there, yet still Katchor is able to give this tale an uneasy ending: the businessman has to shake hands with a foreign student even after all his efforts he still hasn’t been able to dry them properly. Urban life can be uneasy at times and pretty absurd, and that’s what Katchor deals with in one-page stories. They often ridicule the trappings of urban life so we can have a good laugh about it. The material in Hand-Drying in America was originally serialized in Metropolis magazine between 1998 and 2012, a magazine that covers architecture and urban design, which explains why this collection of comics deals with design or urban issues. Then again, Katchor always had a knack for tackling urban themes in his comics and especially with using big cities as the setting for modern-day dystopia. Ben Katchor (1951, New York) debuted in Raw Magazine. The comic character Julius Knipl, Real Estate Photographer, which he created for the Jewish socialist magazine, is probably his best-known work. 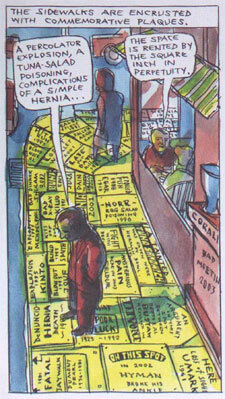 The often moody and surrealist stories in this strip paint a picture of historical New York City. 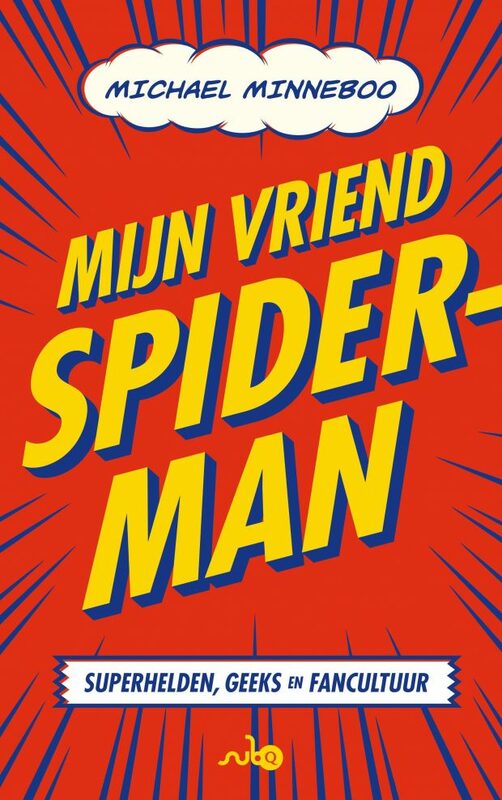 Please take the time to check out Katchor’s presentation at Ted Talks (see below), for not only do you get a nice impression of his comic book artwork and stories, there’s nothing like hearing him reading his own work in his very distinctive way of speaking. Ben Katchor will be at the Crossing Border Festival in The Hague on Saturday, November 16th, and in Antwerp on Sunday, November 17th. 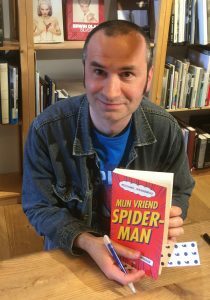 And he will be guest on VPRO’s Boeken on Sunday, Ned 1, 11:20-12:00. This review was published on the ABC Blog.